All hail my holy grail product of the moisturising world! 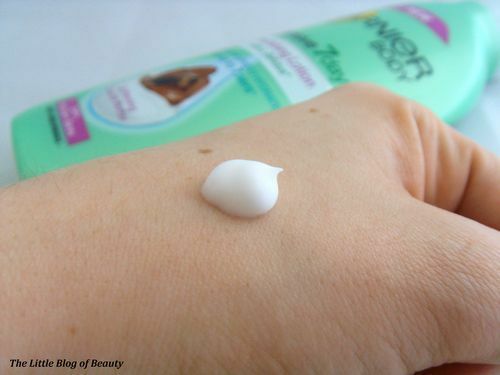 I first tried this last year and LOVED it and I used it religiously for several months. Then I started blogging just before Christmas and I found myself seduced by the lure of trying other products. 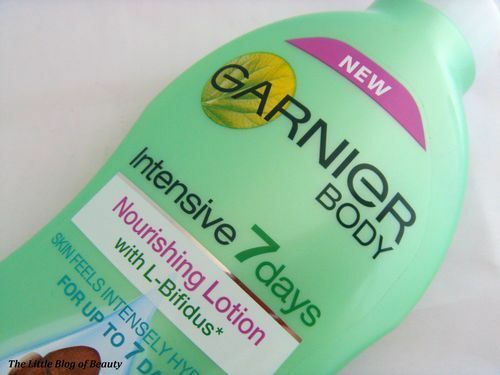 I’ve tried several different products since including body lotions, body butters and oils, but I’ve now faced the fact that none of them have stood up against Garnier Body Intensive 7 days. The problem I have is that, particularly in winter, I have dry skin with patches of really dry skin that become Eczema if I don’t manage to stay on top of trying to keep them moisturised, and often just turn to Eczema anyway. The majority of products just don’t moisturise my skin very well. Some improve my dry patches to begin with but this doesn’t last very long and they soon dry out again and some just don’t really seem to make much difference even when first applied. 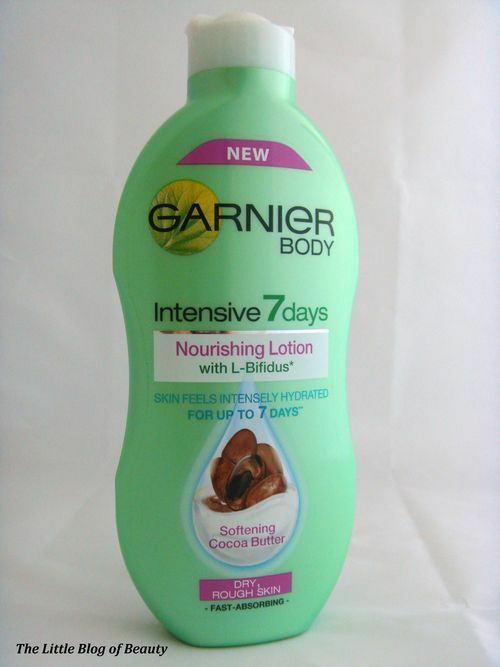 Garnier Body Intensive 7 days is the only moisturiser I have found so far that improves my dry patches straight away, lasts well and if I keep up applying this every day, really improves the appearance and softness of my skin. 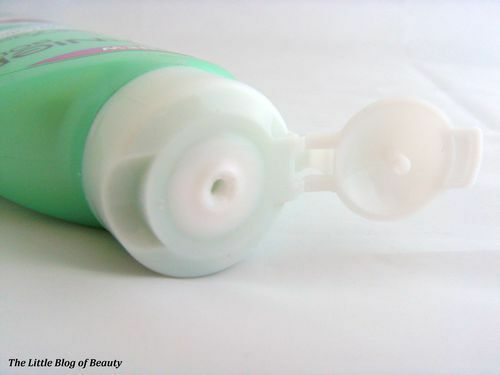 It also absorbs really quickly and doesn’t leave behind any kind of greasy/sticky/tackiness on my skin. Basically, I love this product, so I have gone back to it! There are 5 different types available depending on your skin type; Aloe Vera for normal skin, Honey for sensitive skin, Mango Oil for dry skin, Cocoa Butter for dry and rough skin and Shea Butter for dry to extra dry skin. Last year I mostly used Mango Oil and I really liked this. 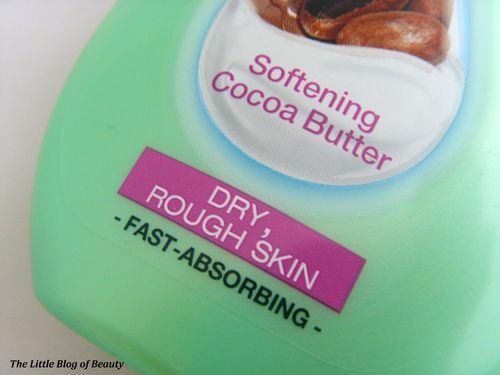 This time I picked up Cocoa Butter to try and banish my winter rough skin as soon as possible. If you haven’t tried this I would definitely recommend giving this a try, whatever your skin type.